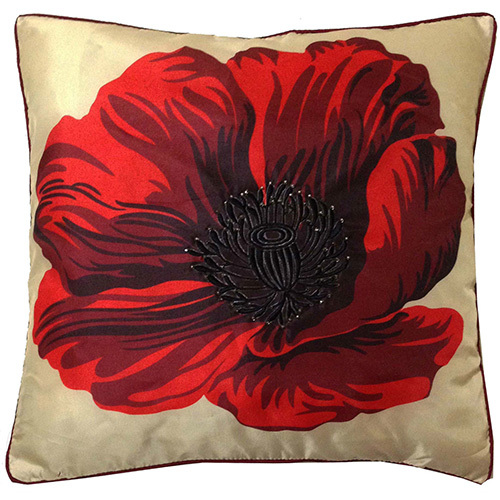 Cream and Red Poppy Faux Silk Cushion, made with quality fabric. 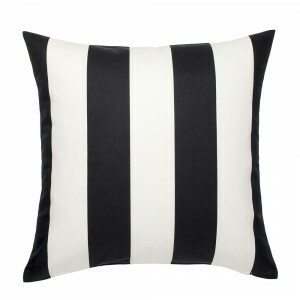 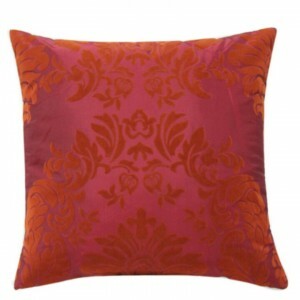 This cushion adds color and style to your living room. 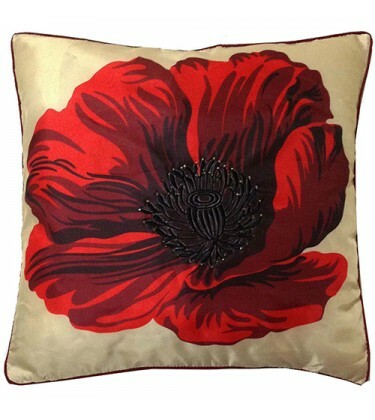 The Flock Cushion Red is a simple and elegant cushion which is a perfect addition to your sofa or be.. 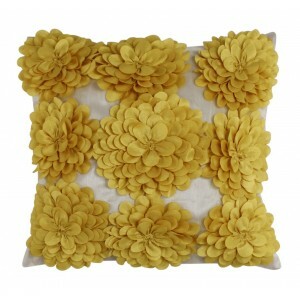 The beautiful Ivory and Yellow 3D Flowered Cushion, is a beautiful accessory for your sofas.Dime..